According to the new report Global Estimates 2012: People Displaced By Disasters, released by the International Displacement Monitoring Centre (IDMC), nearly 32.8 million people were forced to leave their homes in 2012 as a result of natural disasters. Based on the report, 98% of these displacements were the result of climate and weather related events. The developing world was most heavily affected by climate related displacement last year, particularly Asia and West and Central Africa. Massive flooding events in India and Nigeria accounted for 41% of all global displacement in 2012. Asia has long been heavily hit by extreme weather events. In the past five years, almost 81% of total global displacement has occurred in Asia. But, with 6.1 million people made homeless by floods in Nigeria in 2012, Africa now has record high numbers of newly displaced people. An additional 8.2 million were displaced across the African continent last year. Affluent countries were also heavily affected by extreme weather, with 1.3 million people displaced in 2012. The United States had particularly devastating year, ranking in the top ten for countries with newly displaced populations. Over 900,000 people were forced out of their homes in the United States in 2012. 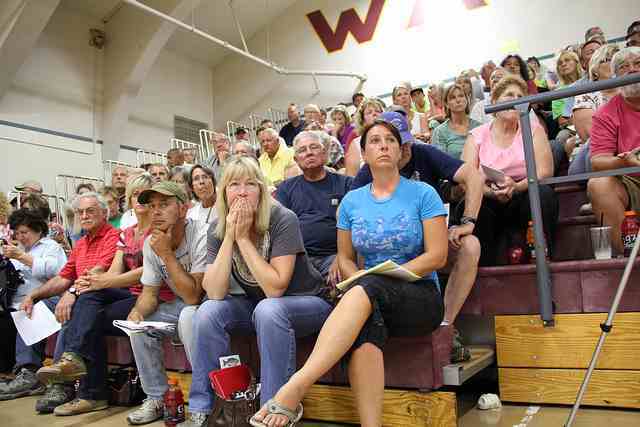 Below: evacuees from the 2012 Taylor Bridge, Washington state fire, await news about their homes. Photo credit: Washington State Natural Resources. 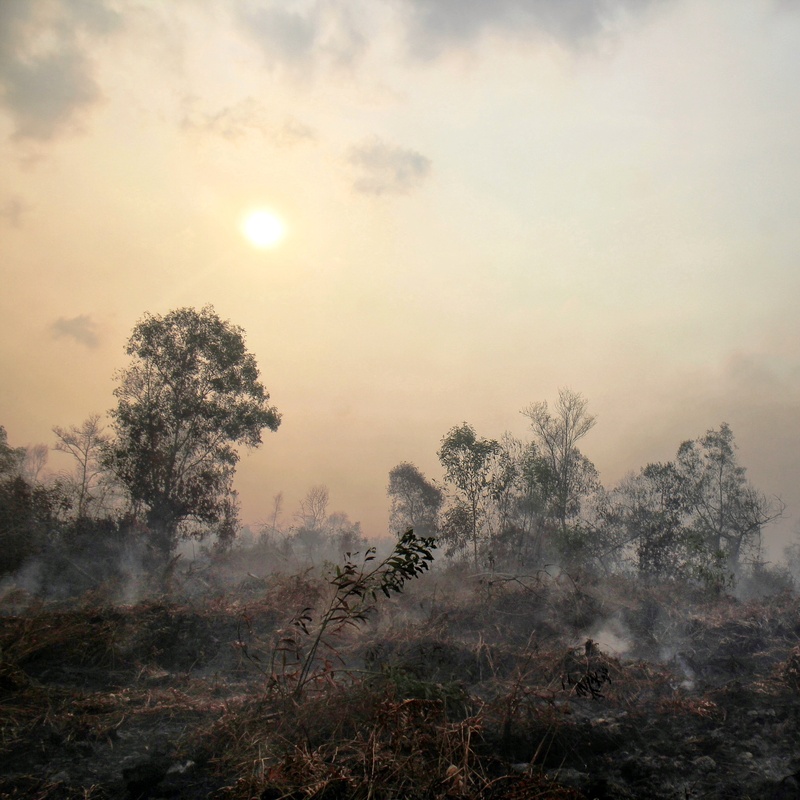 According a special report by the Intergovernmental Panel on Climate Change (IPCC) in 2012, extreme climate events, or even a sting of less extreme events, can exacerbate social vulnerabilities in many parts of the world. In countries already struggling with food security or internal conflict, even non-extreme climate events can become disasters. A report generated for the United Nations Global Platform for Disaster Risk Reduction taking place in Geneva conducted surveys in 57 countries and found among the most poor, 68% report losses caused by natural disasters, and the number is increasing each year. The majority of the damage is not done by single, extreme events but by smaller scale disruptions occurring continuously. Oxfam International also released a report this week highlighting the sensitivity of the poor to weather and climate related events. No Accident: Resilience and the inequality of risk, published May 20, 2013, emphasizes vulnerability to climate change—or any destructive natural phenomenon, is higher is countries with greater income disparity. The Oxfam report highlights the need to focus on social equality, and address policies restricting the rights of the poor, in addition to exploring technical solutions for building climate resilience. In a May 13, 2013 press release International Displacement Monitoring Center chief spokesperson Clare Spurrell explained the most critical component to building resilience in vulnerable communities is information. Governments responding to the devastation created by natural disasters should work to improve available data on people who have been displaced. Spurrell emphasized much of the information available on displaced populations is biased, and focused on more visible evacuees who register in shelters, many of those victims trapped in prolonged cycles of displacement, and those who are continuously affected by more minor events, are often overlooked. This was first published at Fairfax Climate Watch. Malee is a freelance writer with a background in environmental management. She has lived in Kenya, Nepal, Thailand, and the United Kingdom and is currently based in Washington, DC.